Eat. Live. Laugh. and sometimes shop! : The Gift of an Ordinary Day. The Gift of an Ordinary Day. Butterflies and Rainbows. Or not. My BFF shared this YouTube video with me last week while I was away on a family vacation. Yes, I look, and most certainly was, delirious. 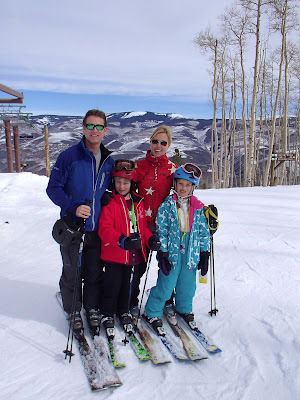 Traveling as a family, especially for a ski vacation, has that effect on me. Either that or I had one too many beers at lunch. It struck accord with me today. It probably would have any day, but it did so especially today. Spending time away as a family is such a magical time. Returning to the daily grind, however, is not. It's so very easy to loose a sense of perspective on life. Because what really is important is the every day. Not the milestones, or the fancy vacations, but the little every day moments. Grab the Kleenex and enjoy!